Welcome to Even The Stars Tips For 2016. The artists and bands on this list we expect great things from in 2016. We've selected fifty bands and we'll reveal nine a day Monday to Friday with our top five selections on Saturday. On day two we present Bruising, Cavan Moran, Clay, Dom Major, Emma Kupa, Lock, The Levons, The Sisters and The Winachi Tribe. Our criteria for inclusion in this list is twofold - firstly that they haven't released an album yet and secondly that they didn't appear in our 2015 list, which excludes the likes of Blossoms, LIINES and Trampolene who have made an impact this year. We look forward to being told about all the bands and artists we've missed off. Bruising are a Leeds based four-piece that started life as a two-piece when they released their supremely lo-fi first track Honey back in January ahead of their debut shows. 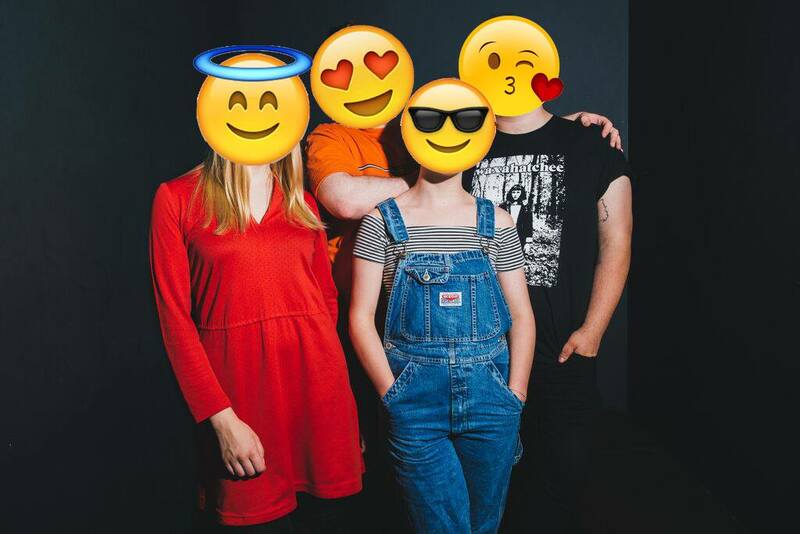 They quickly expanded to a four-piece, widened their vision and have just released Emo Friends backed with Honey as a 7" single. They are building a strong live reputation having supported Los Campesinos and securing a place on DIY's Hello 2016 gig in the new year. Bruising are on Facebook and Twitter. 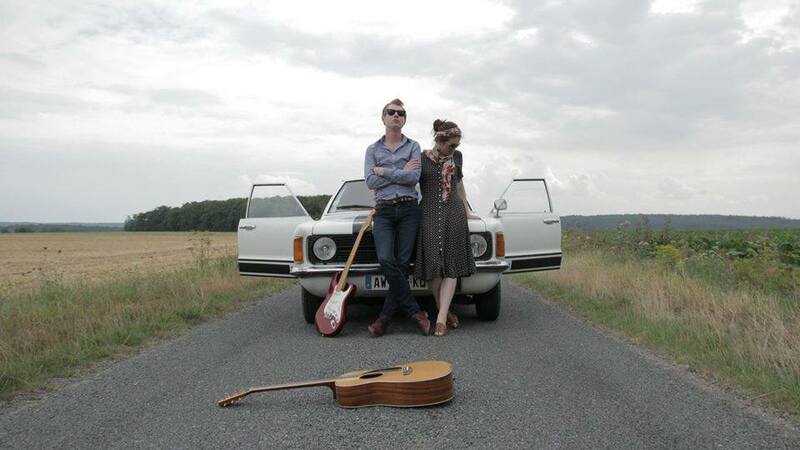 Cavan Moran's debut album Forever On The Road (Forever At Home) is set to drop in early 2016. Into The Wild was one of the first tracks revealed from it and is indicative of the bittersweet nature of the record, beautifully crafted but with a darker side. Accompanied by Emma Whitworth on piano and backing vocals and his band, he's already has a record destined for the higher echelons of our 2016 lists. Cavan Moran is on Facebook and Twitter. We saw Cavan Moran previewing tracks from Forever On The Road (Forever At Home) at the Royal Exchange in Manchester back in October here. Leeds four-piece Clay burst out of nowhere in the first half of the year with some frenetic high-energy live shows that had people scribbling excitedly about them. They trade in three minute blasts with vocal duties shared amongst three of them to ensure everything stays fresh and vibrant. 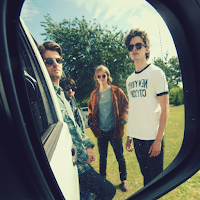 Our first sight of them back in April led us to conclude "it's evident that they've got a knack of writing songs that grab your attention and hold it - they possess all the pre-requisites of great hooks, a few sing-along choruses and the ability to not sound like they're regurgitating their favourite records." Clay are on Facebook, Twitter and Soundcloud. We saw Clay play the Night And Day Cafe in Manchester for This Feeling back in April here. Happy Now is the first song from Dom Major's new project ahead of an EP that he plans to release early in 2016. The song sounds like nothing else that's coming out of Manchester at the moment. The production on Dom's voice, making it sound imposing and sandpaper rough as he declares in the chorus "So don't tell me that you're happy now. Cos it ain't what I want to hear", adds to the impact of the guitar. It's a serious calling card and if the rest of the EP can match this first taster then we'll be hearing a lot more of Dom in 2016. Dom Major is on Facebook and Twitter. In addition to fronting Mammoth Penguins, Emma Kupa has also embarked on another project under her own name and in 2015 released an EP entitled Home Cinema which sold out on 10" single almost immediately. Formerly of Standard Fare, we first came across her at A Carefully Planned Festival in Manchester in September and were impressed by the likes of Half Sister and Katie NYC from the EP. She's been back recording songs with the band recently according to her Facebook page so we hope to hear a lot more of her in 2016. Emma Kupa is on Facebook and Twitter. 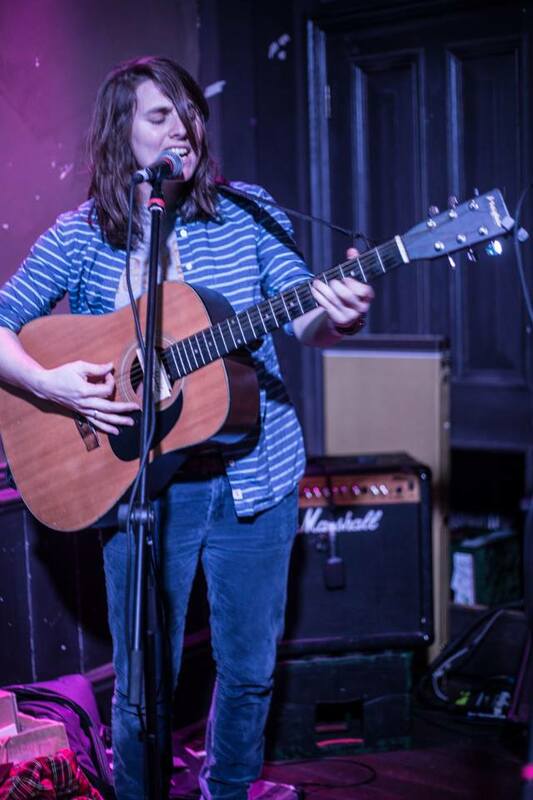 We caught Emma Kupa at A Carefully Planned Festival in Manchester in October here. Lock's debut EP featured Click and another track The High Life as well as remixes of both tracks and new material is due early in 2016. The band are two sisters - Edie and Gita - who previously were in the altogether different The Langley Sisters. We observed that Click would work equally well on a dancefloor as it would sitting at home in a contemplative mood which is no mean trick for a song. They've been writing with Ed Harcourt and others recently so we expect 2016 to be a big year for them. Lock are on Facebook and Twitter. 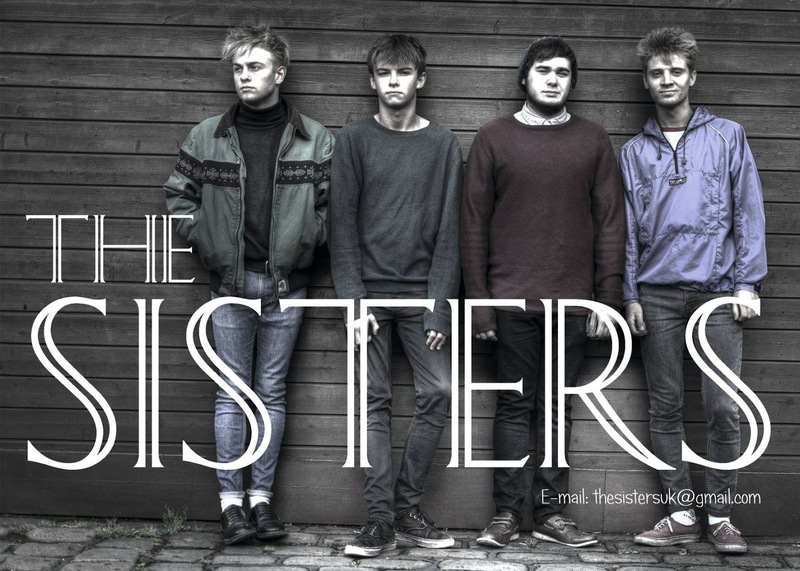 The Sisters are a band we discovered by chance at A Carefully Planned Festival. 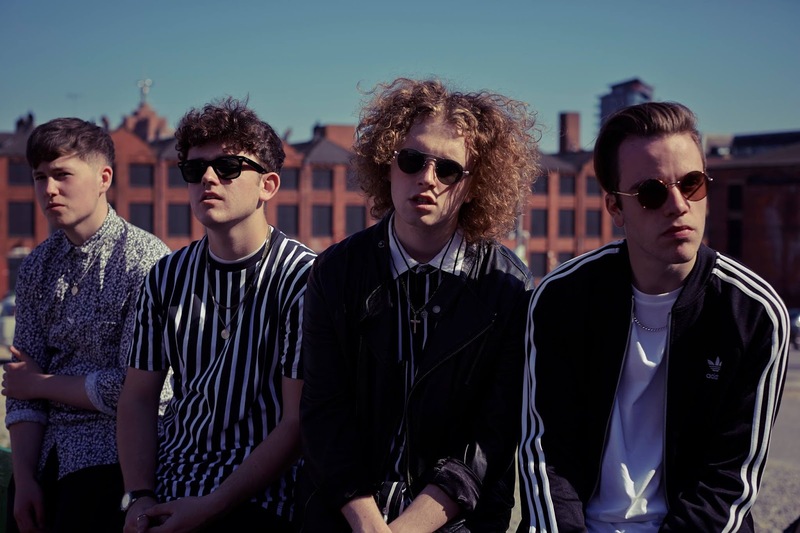 The Manchester four-piece consists of Joe Gorman on rhythm guitar and vocals, Oscar Davies on lead guitar, Shaun Bardsley on bass and Lewis Andrews on drums. They're a lot of fun to watch live, not taking themselves too seriously, but at the same time producing a set of killer hooks and riffs that make the listener do just that. Joe, their front man, is an entertaining character and engaging leader as well, which makes them one of the newer bands emerging from Manchester to keep an eye on. The Sisters are on Facebook and Twitter. 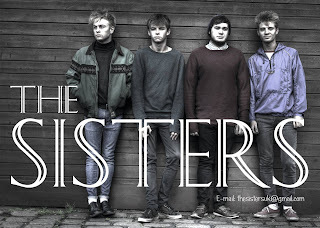 We caught The Sisters at A Carefully Planned Festival in Manchester in October here. We caught The Levons opening for The Slow Readers Club in Liverpool. Like all great bands from that city, they have an instinctive built-in feel for melody and groove in their songs, but unlike many, they have a very strong personality of their own evidenced on their track Too Strange and their forthcoming single Sweet Return which was a standout track of their live set which saw Nathaniel and Danny exchange lead vocal responsibilities throughout. The four-piece consist of Nathaniel Cummings on vocals and rhythm guitar, Danny Murphy on vocals and lead guitar, Phil Murphy on drums and Mark McInnes bass. With Sweet Return due for release in early 2016, they look set to be one of the next bands to emerge from the thriving Liverpool circuit. The Levons are on Facebook and Twitter. 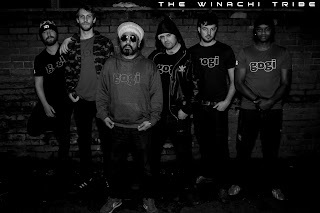 The Winachi Tribe describe themselves as a "Electro Funk Sonic Soul Collective" and that captures the vibe of their music perfectly. They have produce instantly infectious tunes, take a listen to Time For Love below for proof, that span genres the way Happy Mondays, who they've supported recently, did in the heyday and although we've not seen them live yet, reports from friends suggest that the live shows are wild, ecstatic affairs. We look forward to catching them in 2016. 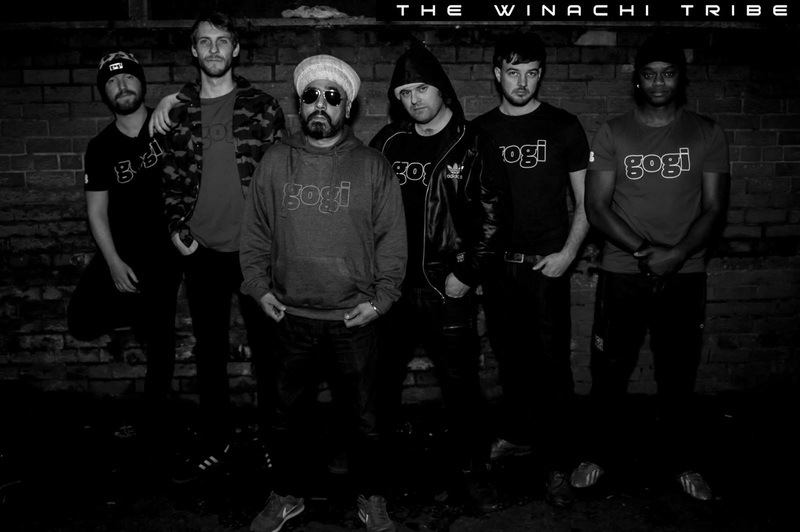 The Winachi Tribe are on Facebook and Twitter. Day one of our tips featuring Control Of The Going, Daisy Victoria, Ist Ist, Lunar, Polo, Scarlet, Fickle Friends, Vant and Viola Beach can be found here.